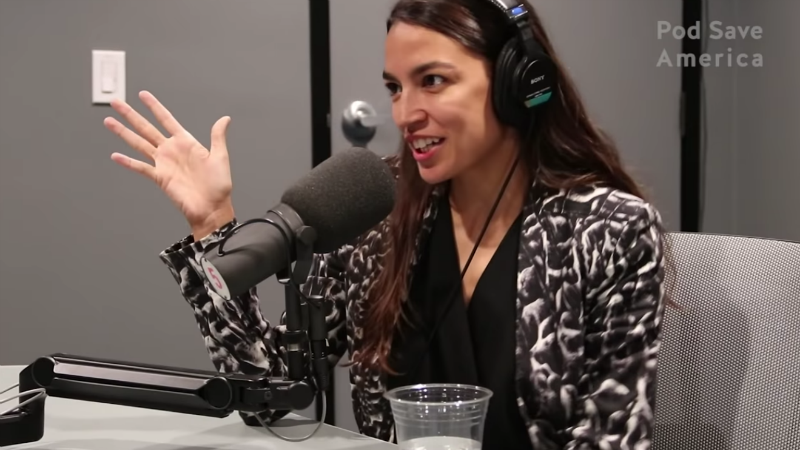 Alexandria Ocasio-Cortez stopped by Pod Save America this week to discuss her unexpected candidacy, democratic socialism, President Trump, and the Democratic Party’s incredibly self-defeating approach to voter outreach. The New York congressional candidate repeated a point she’s been making a lot lately, which is that the real “swing” voters the Democrats need to focus on are non-voters to voters, rather than those who oscillate between Republican and Democrat. There’s this really myopic and just...misunderstanding of politics as this flat, two-dimensional, left-right thing. So they always feel like, ‘Okay, the right says this thing, we have to respond to it!’ That’s why [the right is] winning. That’s why they’ve won for the last ten years; because they’ve dragged us onto their court. And we’ve refused to have our own strong message to force them to play defense on. Makes sense if you ask me! Check out the rest of the interview here.